Over the past 5 years I've been asked over and over about helping people to decide their tattoos. Many people have wanted to get tattoos in Korean (in 한글) and have asked me for translations or advice. I wanted to answer some of those questions by making this video. Actually, it might be a good idea to *not* get a tattoo in Korean if you're not committed to the idea. This is for several reasons, which I explain in the video, including them still not having the best image (although this is changing), being difficult to get, and the high chance that it won't look good or won't make sense. But if you still want to, I also outline a few tips for how to make sure your tattoo is as good as possible. To finish this video I went on the streets and interviewed some Koreans to ask them what they think about tattoos. 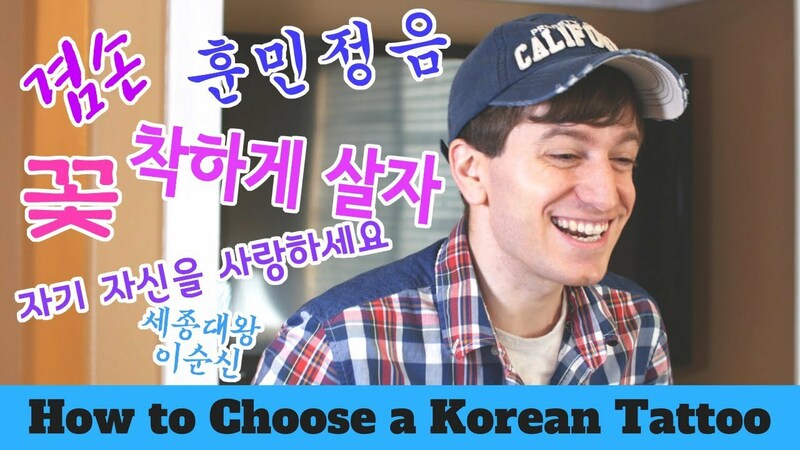 The question that I asked Koreans living in Seoul is this: “외국인이 한국어로 된 타투를 하면 어떨까요?” (“What do you think if a foreigner gets a Korean tattoo?”).